Hello – I know it’s been months. It’s been months since I’ve written here because I’ve been so busy! I’ve been busy crafting, living and working. I also decided to take a break from my commercial crafting ventures and focus on making things for friends and family. Since I work full time, I don’t have that much crafting time, and I wanted to be able to put friends and family first when it came to making stuff. It will take me a while to post pictures of the things I’ve made over the last 6 months or so, but here’s a start. 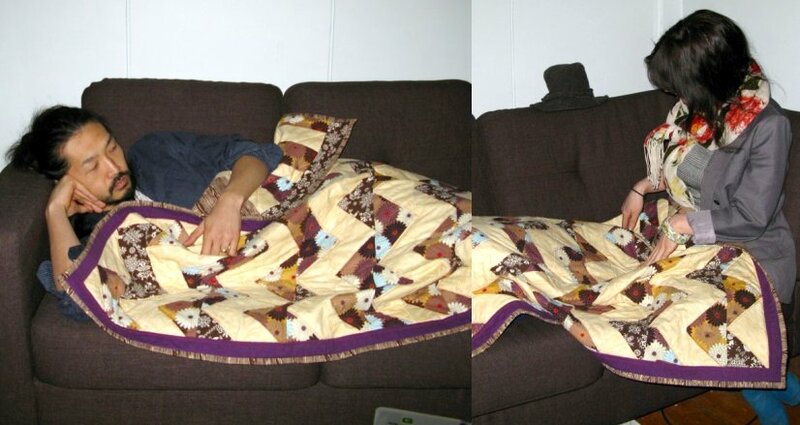 Hey Angelune, this is a beautiful quilt. Love those Japanese inspired fabrics. 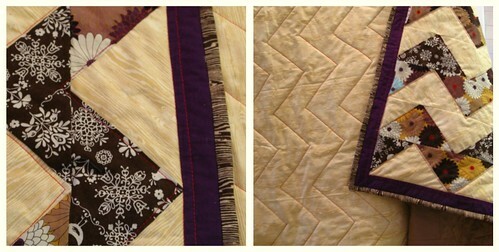 They were perfect for this quilt. Keep up the good work. Look forward to seeing more of your artistic projects! It’s such a great pic and we will have it forever!!!! 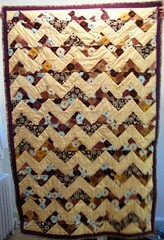 This is a really gorgeous, sort of different-looking, quilt. Love it!